Set up a goal to kick the ball into, or for something new, challenge your child to use a different body part, like an elbow, to knock the ball into the goal. Grab a laundry basket and play a target game. Take on a multi-step challenge. The first person picks an action, such as bouncing the ball one time. The next person bounces the ball one time, and then adds a step, like turning around holding the ball. The game continues, adding on more and more steps. How many can you remember? Set up an obstacle course to maneuver the ball through. Kangaroo kicks: Have your child lie down on his back and prop up his body on his elbows. Stand a few feet away (more if you have a child who tends to use too much force) and toss the ball for him to kick with the soles of his feet back to you. Write sensory diet activities recommended by your therapist on different areas of the ball. Toss the ball back and forth a few times, then do the action written on the area facing upward. Stand up some blocks and go bowling. Play the game ”keep it up”. How many times can you tap the ball up before it falls to the ground? Team work relay. Can your child and a friend work together to get the ball across the room by holding the ball between their hips? Behind their backs? Pool noodle hockey. Have any pool noodles that survived the summer? 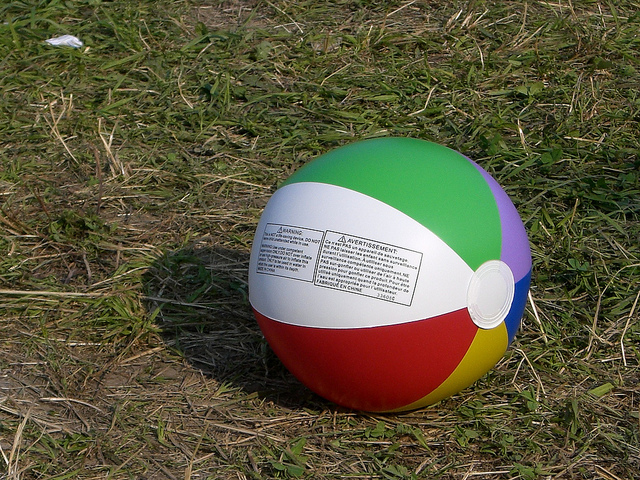 Repurpose them into hockey sticks for the beach ball. 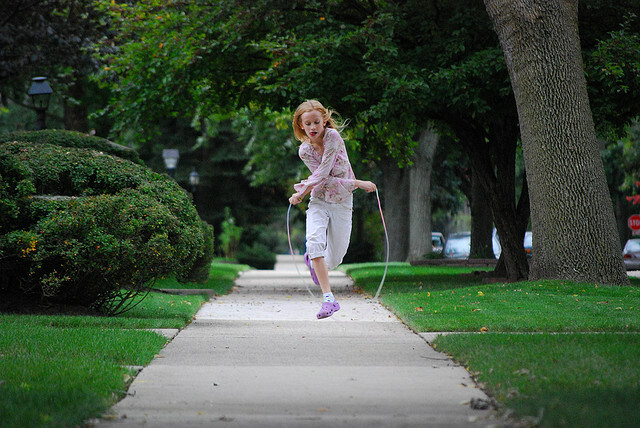 Remember any jump rope rhymes from your childhood? If not, here’s a list . 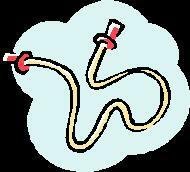 Wiggle the rope along the ground like a snake. Don’t let it bite you! Tie the rope between two chairs and play limbo. Have one person stand and slowly spin holding the rope so that it drags along the ground in a circle. The other players need to jump over the rope as it comes by. Pretend to be pirates and use the rope to tie up your captives. Pretend to be a cowboy. Learn to tie a lasso here. Wrangle up some stuffed animals before they escape the ranch. Lay the rope on the ground in a circle and play a target game. Arrange the rope on the floor in different shapes and have the other players guess what the figure is. Stretch the rope out on the ground. Can you walk across the tightrope without falling into the canyon? Have a three legged race. Pretend to be frogs and jump lily pad to lily pad. 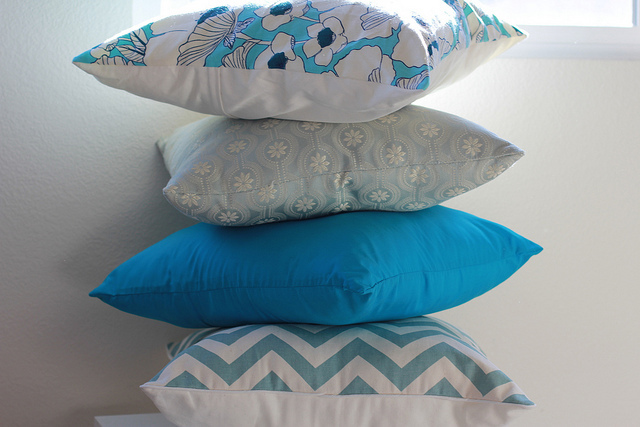 Arrange the pillows as targets and toss crumpled up paper or balled up socks. Make a pillow path on the ground and walk on top of them, making sure you don’t fall off and step in the lava. Have a red light, green light pillow fight. Everyone has to stop when “red light” is called and swing the pillows in slow motion during a “yellow light”. Grab some couch cushions and build a pillow fort. Substitute pillows for chairs and play musical pillows. Make an obstacle course with pillows to jump over, skip around, roll across, etc. Use the pillow case for a potato sack race. Sing the “Wonder Ball” song and substitute a pillow. Have a snowball fight with crumpled newspaper. Defend yourself with a pillow shield. Make a fort by draping the blanket over a group of chairs. Create a quiet reading tent by draping a large blanket over a table. Use it like a parachute. Place small stuffed animals in the middle and have each person hold a corner and bounce the animals around. Pretend to be the king or queen with a long royal robe. Pretend to be a super hero with a cape. Play a memory game. 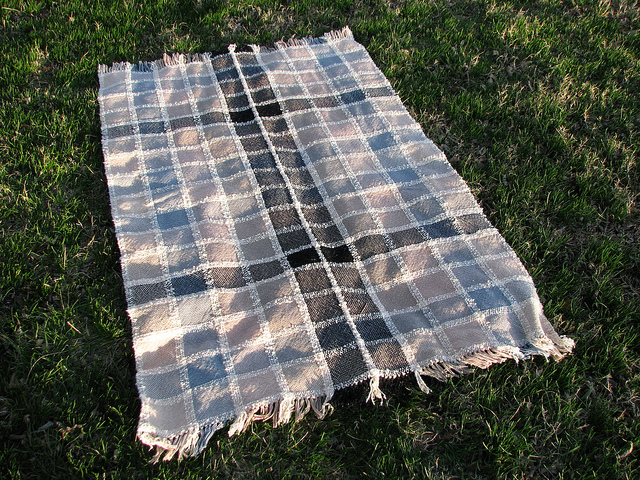 Spread 3-5 objects on the floor and see how many your child can remember when the blanket covers them up. Go on a magic carpet ride. What do you see as you fly along? Guess the mystery object. Have your child put his hand under the blanket and without him seeing the object, place something small in his hand and ask him to guess what it is. Cotton balls, coins, buttons, lego pieces, and paper clips are great for this activity. Go for a sled ride. Have your child sit on a blanket and gently drag him through the house.